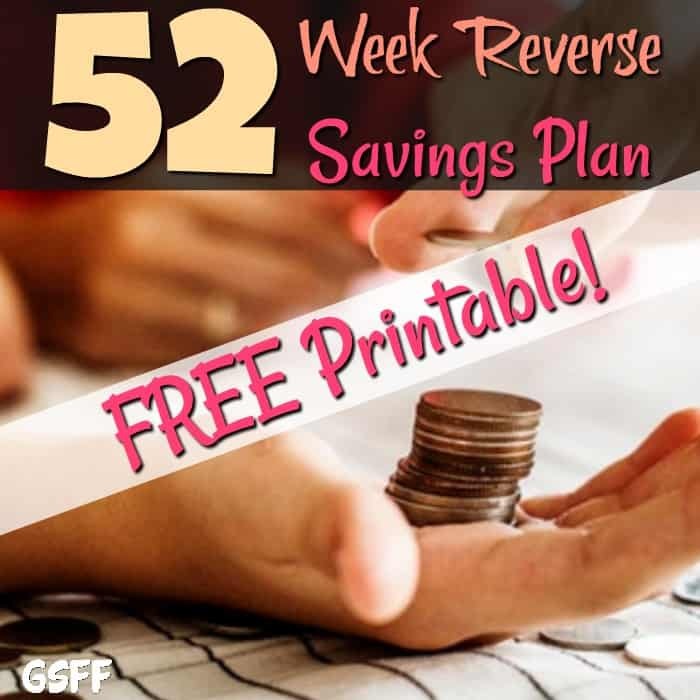 FREE 52 Week Reverse Savings Plan With Printable! 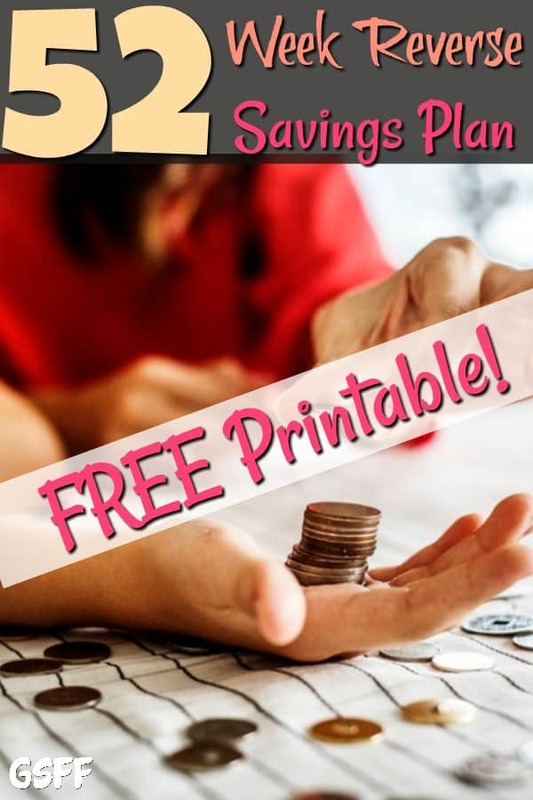 You are here: Home / Finance / FREE 52 Week Reverse Savings Plan With Printable! 52 Week Reverse Savings Plan To Help You Save! The 52 week money challenge is great, but, you can also try the 52 week reverse savings plan money challenge, with printable, to get started, too! Every year, one of the top New Year’s Resolutions for many people is to save money. Saving money is a great goal! However, if you don’t have a savings plan in place, this New Year’s Resolution is bound to fail. We’ve all struggled to save money in our lives. Have you ever heard of the 52 Week Challenge? What Is The 52 Week Challenge? The Traditional 52 Week Challenge is designed to help you start saving by increasing the amount of money you save every seven days. You’ll start off on week 1 by saving $1 and week 2 you’ll increase to $2, and so on. Starting off slowly and continuing to grow your savings throughout the year is made easier by doing it this way. Once you completed the challenge, at the end of the year, you’ll have saved $1378! 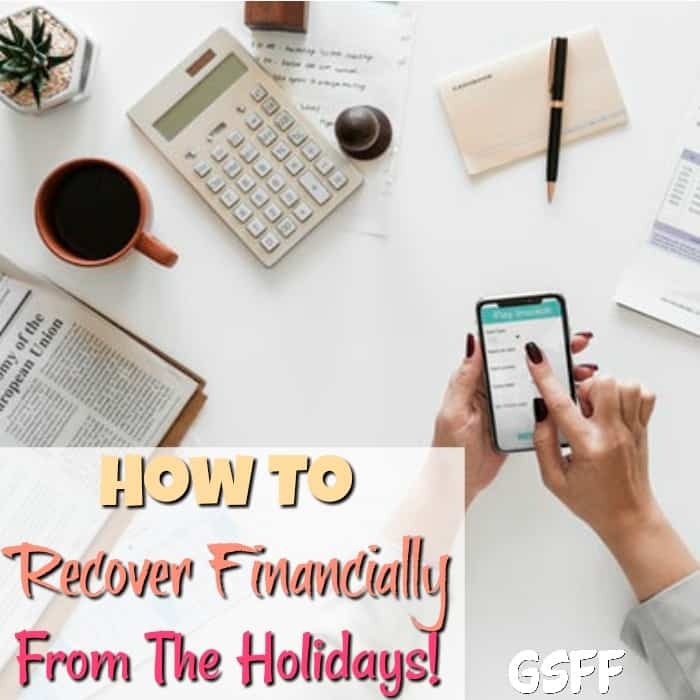 You can add to your savings account or use it for the holidays or even reward yourself with a vacation! However, there is also the Reverse Savings Plan. Some people get money for the holidays or an end of the year bonus and may like to use that money to kick start savings. 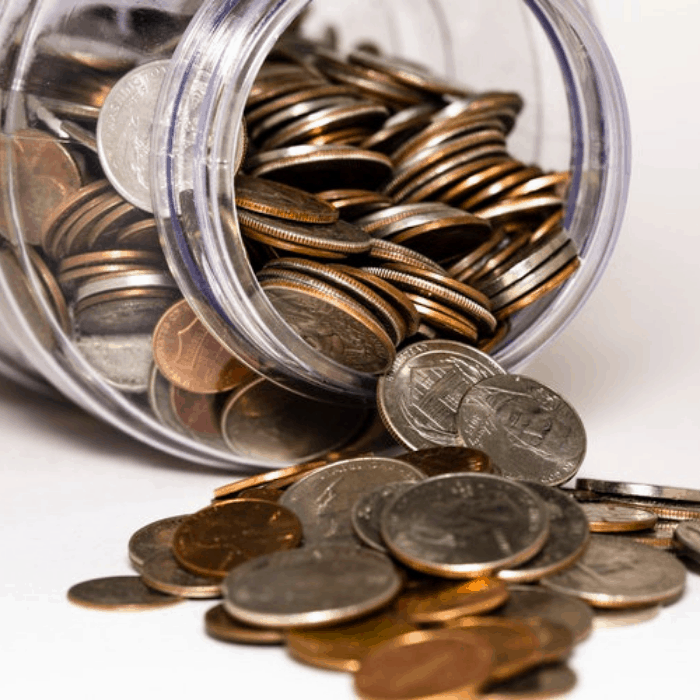 So, the reverse savings plan may work better for you! 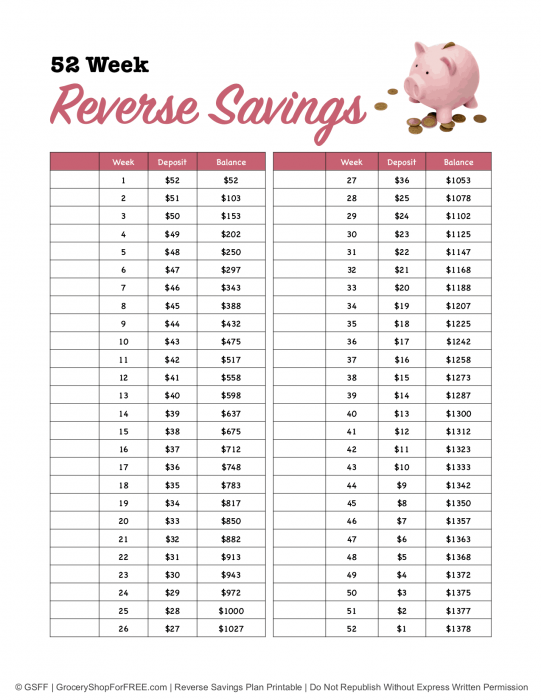 To help you get started, I have created a free 52 Week Reverse Savings Plan printable for you! Just click the image below to download and print it now. You can print it and place it in your fridge, table, mirror, — somewhere you can easily see it! With the 52 Week Reverse Savings Plan, you’ll be amazed at what you can accomplish once you set your mind to it. Knowing you’ve actually done it will feel great, too! 52 Week Reverse Savings Plan? Leave a comment below sharing your ideas.